WEAVETEX ENGINEERS PVT. LTD is a prominent name in the manufacturing, exporting and supplying of a wide range of Yarn dyeing Machines and Yarn Printing Machine. The range of machines we deal in includes Horizontal Yarn Dyeing Machines, Horizontal Package Yarn Dyeing Machine, Horizontal Single Vessel Yarn Dyeing Machine, Vertical Yarn Dyeing Machine, and Yarn Printing Machine. We manufacture these machines using superior quality Stainless Steel Sheets, Pipes, Rods, Electric Motors and contactors relays. We deliver high-grade machines, which are appreciated for their durability, advanced technology, and enhanced features. 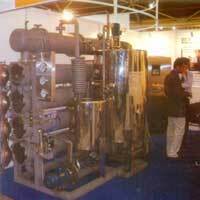 Our reliable and easy to use machines are especially designed to render high production. The packaging of our machines is done in wooden boxes to protect them from damage at the time of delivery. The quick delivery of our products to the clients has gathered us satisfaction from them.